A not-so-simple classic strand of superb 10-12mm multi-hued freshwater baroque Pearls spaced with mysterious Labradorite rondelles. Two cranberry colored coin pearls frame a 14mm black 3-D Scotties sitting upon an 8mm faceted Tanzanite crystal rondelle . 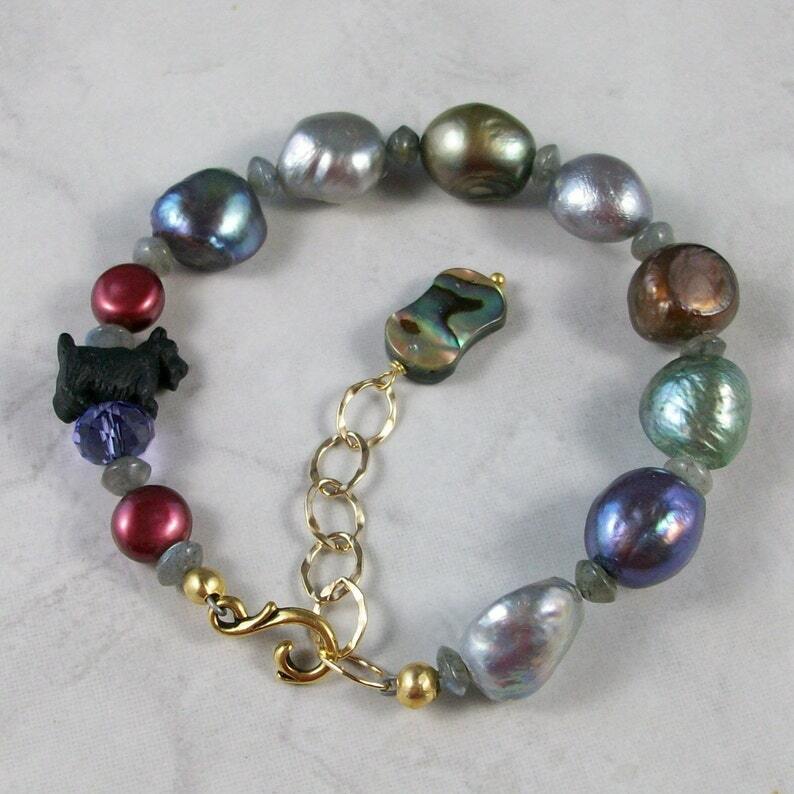 The bracelet closes with a vermeil filigree hook and adjustable gold filled chain accented with a Paua shell dog bone. An elegant update on a classical look.